Kids are naturally curious and want to explore everything around them, especially when it makes sounds, lights up and doesn’t belong to them. I’ve learned this lesson the hard way because over the past two years, Amy has cracked two phone screens and another two tablet screens while playing. Don’t get me wrong, she didn’t do it purposely, she was just playing, but let’s face it, kids are a little hard-handed when it comes to using fragile gadgets like tablets or phones. They are used to the sturdiness of their toy versions and, of course, don’t know about the monetary value of expensive electricals. Screens are notoriously delicate, be it a tablet, iPhone or kindle, so make sure you protect your gadgets as good as possible. There are cases out there for almost every single model, so why not use them? You can get cases for as cheap as £5 and add extra protection with waterproof models. Screen protectors are a great way to protect your gadgets from scratches or even cracks. They’re super affordable, come in a range or sizes and finishes and make your screen look shiny and new for much longer. If you’re unsure about the right finish for you, pop to the store to see them in action. Kids love to put raisins, their fingers or whatever else they find into drives and plugs and I don’t have to tell you that that’s not going to end well. Don’t despair though. Simply get your hands on some rubber covers and protect your gadgets against dust, liquids and toddler fingers. They’re super easy to use and are totally worth it. We have all read stories about kids who’ve racked up horrendous bills by accidentally buying credits for their favourite app or shopping on Amazon, so log out of online shops before handing over your phone or tablet and you’ll avoid nasty surprises when the postman comes. 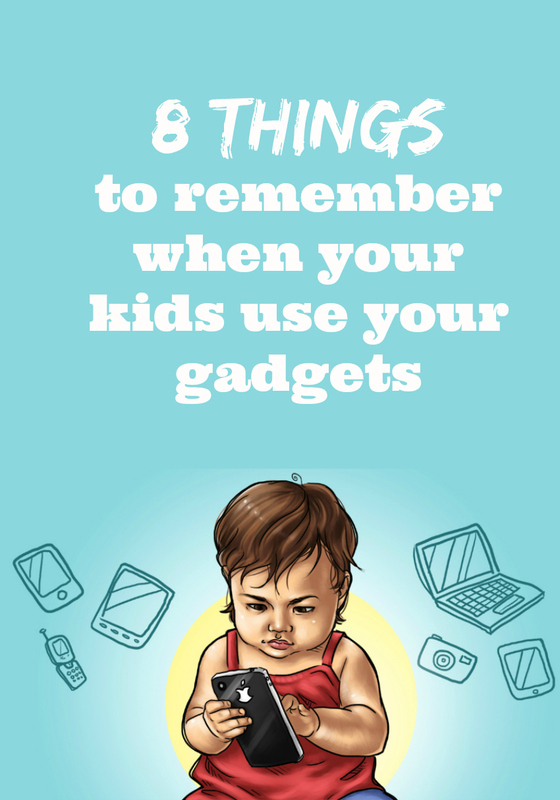 A third of all gadget accidents caused by kids involve food or drink, so make gadgets a taboo during meals and snack time and teach children not to use your phone or tablet in the bathroom. It’s oh so easy to send an iPhone down the toilet. Depending on your child’s age, it makes sense to install browsers or apps that track and monitor your child’s online behaviour as well as their messaging and gaming. Other apps allow you to limit the usage of games or restrict websites your child can use. Make sure that your kids know how to keep safe online and know internet safety rules such as not disclosing their full name and address or sharing photos of themselves or their immediate neighbourhood. Be prepared for the worst case scenario and have insurance in place. There are hundreds of deals out there and if you’re lucky, phone or gadget insurance comes as a add on to your current account. How do you protect your gadgets and kids when they are surfing online using your smartphone or tablet? Share your best tips below! This is a promotional post with an image from Life Hacker. YES to logging off! 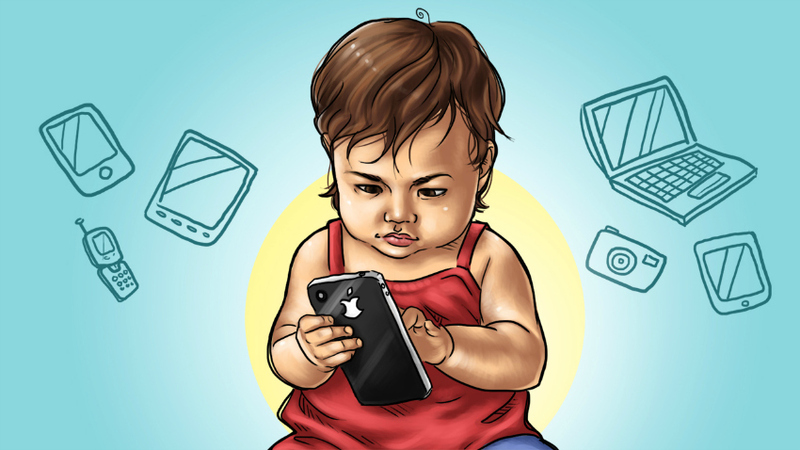 My son bought Apps and thankfully it wasn’t too much, but woah, it was a shocker! Good tips! We gave our toddler an old iPhone which doesn’t work properly. He loves it and now leaves our gadgets alone most of the time.